Kids love spring. From picking flowers to chasing butterflies and flying kites, there are many fun springtime activities. 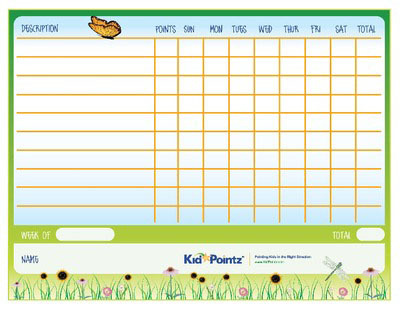 Motivate children to practice good behavior at home, at school and on the playground with our “Behavior Chart: Springtime Theme” free printable charts. Your child will enjoy placing stickers on the page to track his accomplishments. Pair the chart with the other parent support resources available in our behavior tools section.